The Sherlockian Ramblings of Paul Stuart Hayes: Fancy a piece of Benedict Cumberbatch? Fancy a piece of Benedict Cumberbatch? You see a lot of weird things whilst surfing the web but this one definitely takes the biscuit - perhaps the chocolate biscuit (sorry). 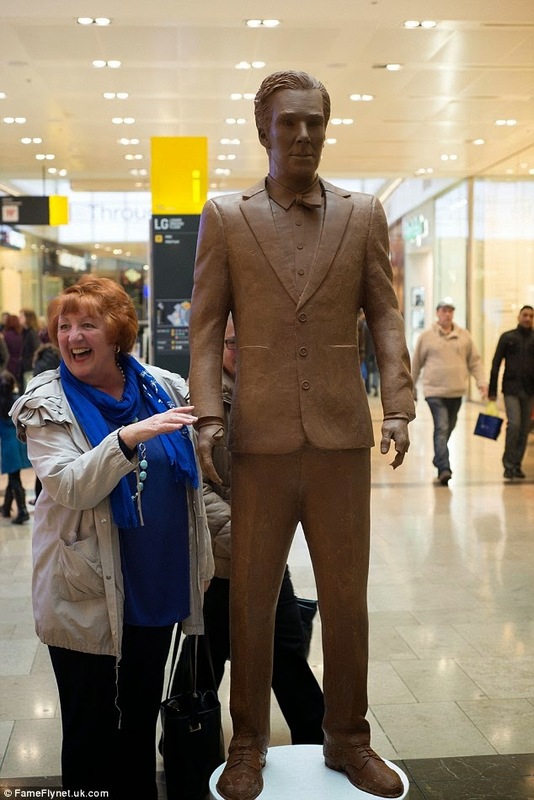 Shoppers at Stratford's Westfield Shopping Centre were in for a treat (of sorts) when they popped down to get their Easter eggs this week - a life sized chocolate version of the Sherlock actor (although this one wasn't for sale). 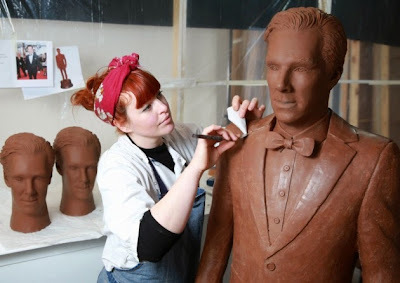 The 6ft sculpture which was commissioned by the British television company UKTV, weighs in at 40kg, took a team of eight artists over 250 hours to complete and was made from over 500 bars of Belgian chocolate.